GC Initial™ LiSi Press is a new high strength lithium disilicate ingot from GC America with HDM (High Density Micronization) Technology. This proprietary new technology provides unsurpassed physical properties and superior aesthetics. GC America has released GC Initial LiSi Press, to offer dental laboratories a more aesthetic, stable and easy to use solution. With nearly 100 years of experience in dental materials, GC is known worldwide for its innovative technology, endorsed by clinicians and technicians alike. The HDM Technology found inside GC Initial LiSi Press utilizes equally dispersed lithium disilicate micro-crystals to fill the entire glass matrix rather than using traditional larger size crystals that do not take full advantage of the entire matrix structure. As result, GC Initial LiSi Press is a formidable combination of strength and aesthetics, making it suitable for all types of dental restorations. Most importantly, this technology allows the product to be stable and strong, without distortion or a drop in value. GC Initial LiSi Press is also perfectly optimized to be used with the already proven GC Initial LiSi veneering ceramic to provide your patients with the strongest, most aesthetic, and stable option available. In the back of the mouth, these restorations don’t look great, they look beautiful. In this brief and informative video, Dental Technician, Dane Barlow, reviews the GC Initial LiSi Press System and demonstrates investing and pressing as well as pressing parameters, while sharing some useful tips and recommendations for getting familiar with the material. 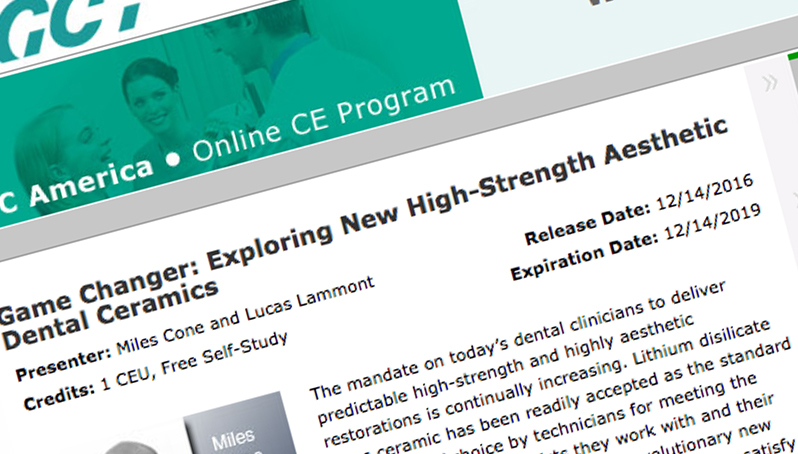 Get a comprehensive overview of new aesthetic dental ceramics in this On Demand webinar presented by Dr. Miles Cone, Prosthodontist and Certified Dental Technician and Lucas Lammott, Dental Lab Owner and Technician.